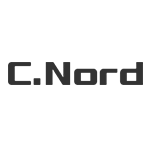 C.Nord was established in 1991 in St.Petersburg, Russia. The company became IT-oriented when in 1997 it developed its own information product for safety. The company manufacturers GPS hardware for fleet management and develops alarm systems. The chart below shows the changes within the last 30 days in the number units of C.Nord devices type are connected to Wialon Data Center.